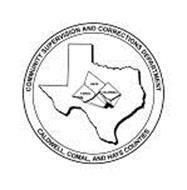 The Caldwell, Comal, and Hays County Community Supervision Department serves a total of 6 District and 5 County Courts of Law in the three counties. We have offices located in the county seats of each of our three counties and several satellite offices. Office Hours and locations are listed with maps under our Contact Information. This department strives to improve the lives of our defendants and their families through rehabilitative opportunities, thereby improving our communities. Defendants usually serve the majority of their sentences in the communities allowing them to work; pay restitution and costs associated with their arrest, court appearances and supervision; support their families; pay taxes; perform community service hours; and attend programs targeted to address risk and need factors to eliminate recidivism. Every defendant has specific conditions of supervision to abide by and failure to abide may result in a variety of sanctions up to and including incarceration. Copies of a defendant’s conditions are available for a fee through the respective Clerks office in each county. If you are a victim, guardian of a victim or close relative of a deceased victim of a kidnapping, aggravated robbery, trafficking of persons, sexual assault, injury to a child, elderly individual, or disabled individual or who has suffered personal injury or death as the result of the criminal conduct of a probationer, this department will provide you a copy of the conditions of probation. This department provides numerous educational and treatment programs for a variety of problems and will refer those in need of additional programs to appropriate providers. If you are in need of assistance with an alcohol or drug abuse problem and not under our supervision, please click on the Treatment tab on the left for information on Community Based Rehabilitative Services including OSAR (Outreach, Screening, Assessment, and Referral). Office hours and locations can be found on the Contact Us page.